Document scanning plays a crucial role in a whole host of organisation, allowing them to archive data effectively and efficiently. After all, it’s incredibly easy for paper documents to become lost, damaged or destroyed, so having an electronic backup not only saves on space, but it also protects your business and customer data against unforeseen circumstances. What’s more, scanning your documents also makes it easier to share them both internally and externally, cutting out the time, hassle, and resources needed to share physical files. Every document scanning project is different and the costs involved will depend upon a wide range of factors, including the amount of pages that need to be scanned and the types of documents being scanned. Within this article, we’ll go through everything you need to know to put together a rough yet realistic document scanning budget for your organisation. We’ll look at the factors you need to consider when calculating your budget, as well as average document scanning costs per page, and total document scanning service costs. As a general rule, the more pages you have to scan in one go, the cheaper the cost per page will be. In fact, costs can reduce significantly based on volume, so it can often be worth holding onto your documents until you have more pages. How many pages have I got? It’s all very well working out how much document scanning will cost per page, but how do you even begin to estimate how many pages you’ve got? 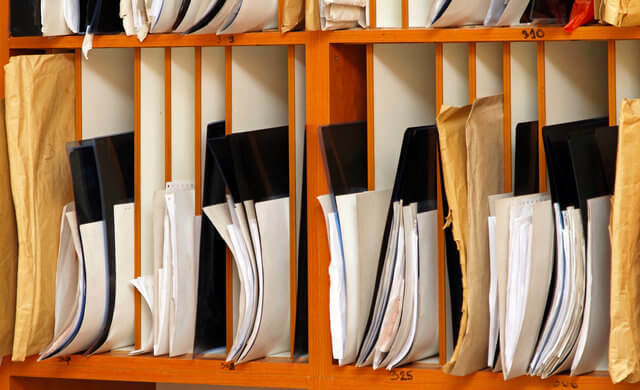 You should also factor into your budget the costs involved in picking up or delivering your documents as this may not be covered by your scanning service provider. In addition to the number of pages you need to be scanned, you’ll also need to take a number of other factors into account when budgeting for document scanning. For example, colour documents usually cost more per page than black and white documents. If your documents contain photos and images, they will also cost more than standard text documents. Paper size will also affect the costs involved in scanning your documents, as will the number of sides that need to be scanned. Double sided pages will usually cost more than those that are single sided. The amount of time and effort needed to prepare your documents for scanning will also be reflected in the price. With this in mind, it’s worth taking reasonable steps to prepare the documents yourself, before they get passed onto the document scanning service provider. This might mean sorting the documents in to the right order and orientation, and removing any staples. Although it isn’t possible to put a fixed price on how much you’ll spend on scanning each year, it is possible to estimate and predict your costs with a reasonable level of accuracy. As discussed above, there a number of factors that need to be taken into account when budgeting for document scanning. If you know roughly how many pages you need to be scanned, however, it isn’t too difficult to estimate how much you will be paying. As a general rule, the larger the job, the lower the cost per page. With this in mind, it can be worth holding on to the documents that need scanning, and processing bulk scans every so often. This should reduce the costs compared to scanning each document as and when it needs doing. To calculate an approximate price per scanned page, you will need to know how many pages you will be scanning in total. If you’re working with smaller volumes, you can expect to pay around 10p per page. However, for larger volumes, some suppliers will offer costs per page as low as 4p. Below you’ll find a rough guide to the costs you can expect to pay per A4 page based on different volumes of scanning. Of course, prices will vary from supplier to supplier, however this should give you a good indication of the rough cost you can expect to pay. The above prices are based on basic document scanning services. If you require more complex scanning services, such as photo or image scanning for example, the prices will be significantly different. If you’re looking to scan ordinary photos, you should expect to pay anywhere between 5p and 12p per photo. For negatives, you will usually pay between 25p and 35p per negative. And for premium slides, you can expect to pay around 20p to 30p. As with written documents, suppliers often offer better rates for larger scanning volumes. Based on the average costs outlined above, you should be able to put together a basic budget for your document scanning costs. Of course, it’s likely that your documents will be arranged in a number of different storage solutions, rather than being counted out page for page. With this in mind, we’ve put together the information below to provide you with some basic cost outlines. Again, we must stress that these prices are just approximated and will vary from supplier to supplier, but the will hopefully give you a better understanding of the sort of prices you can expect to pay. Because there are margins involved in the process, the table above is unlikely to be completely accurate and there are other factors that need to be taken into account, including the supplier’s processes. You should, however, be able to expand on the table we have provided in order to create a more accurate budget based on your company’s scanning requirements. So, if you have 3 large archive boxes full of documents to scan, you should be able to use the information above to estimate the costs involved. The information on this page should help you to understand what you should be looking for when it comes to document scanning prices. To find out more though, and to get quotes based on your requirements, you should speak to suppliers – Startups can help with this. To start comparing document scanning prices and quotes today, you simply need to complete the form at the top of this page. This comparison process is free, quick and easy, and it could save you both time and money.